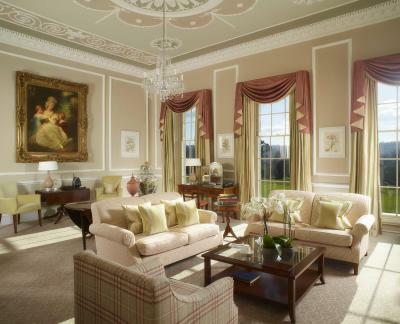 Lock in a great price for The Royal Crescent Hotel & Spa - rated 9.4 by recent guests. The staff were exceptionally professional , all requests dealt with ,nothing was to much trouble. Wonderful location in a very quiet area , only a short stroll to the main shopping area. The restaurant and bar service as you would expect from a hotel of this calibre. proximity to the centre,shops and restaurants. the decor and hotel itself is well maintained ,cleanliness was impressive.Staff were very attentive.We stayed in another hotel the night before (as you had no rooms available)and were very disappointed. 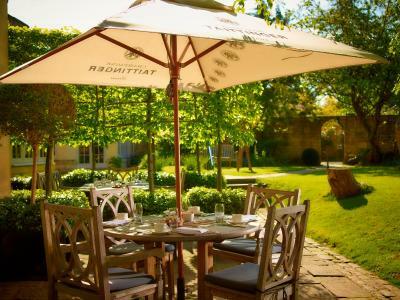 Wonderful location, fantastic garden, amazing dinner. The bed was amazing as were the staff.i felt like a princess.the breakfast was great and the grounds were beautiful as was the spa treatments. Fabulous bed and bathroom.Wonderful building and great staff. Being met by the chap who was clearly looking out for us and left the hotel to greet us was amazing. Although frightfully 'posh' there was a personal, kindly charm eveident in all the staff. This was a break to celebrate my 60th birthday. From the moment we arrived we were very impressed by both the hotel and the staff. 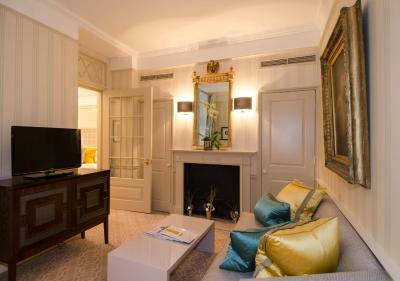 Our room had been upgraded and we were delighted with our suite. The Spa was amazing. Breakfast was lovely. Staff were wonderful. 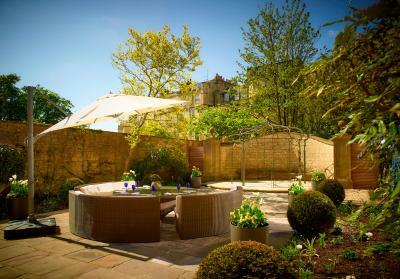 Situated in Bath's Royal Crescent, this magnificent 5-star hotel offers a fully equipped gym and a stunning spa, leading out onto a picturesque landscaped garden. It also offers an award-winning restaurant and a cocktail bar. 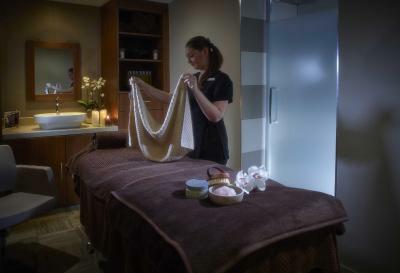 The Bath House spa offers a relaxation pool, an additional relaxation pool with massage jets, a sauna with salt therapy treatments, and a steam room. 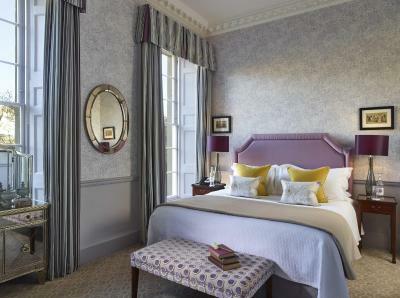 Each bedroom at The Royal Crescent has an 18th-century-style décor, luxury bedding and flowers. There is free WiFi and paintings from period artists such as Gainsborough. 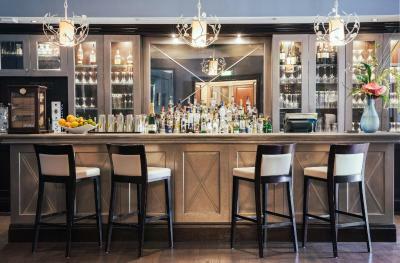 Along with the Dower House restaurant, The Montagu bar serves all-day dining options, cocktails, and champagne. 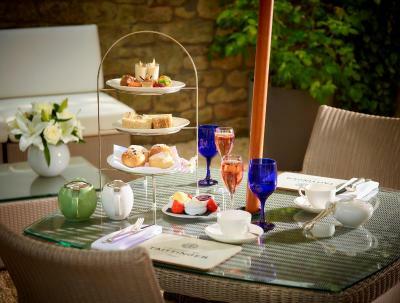 The beautiful gardens are ideal for a traditional afternoon tea. 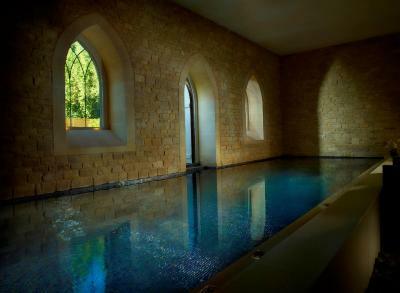 The Bath House Spa is within an original coach house and stables. 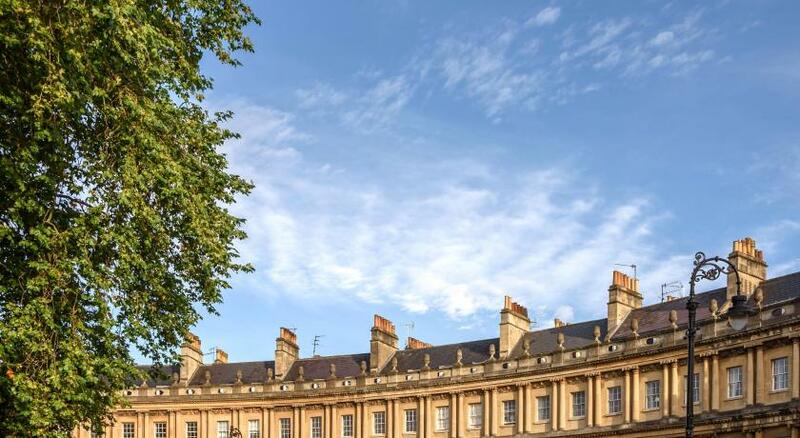 First occupied in 1775, the Grade I buildings are a 15-minute walk from the city-centre, Pump Room Baths, and the Theatre Royal. 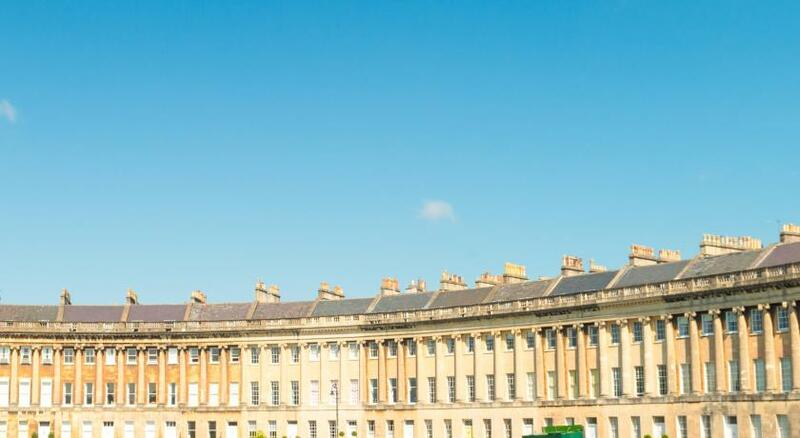 Bath Spa Rail Station is just 1 miles away. 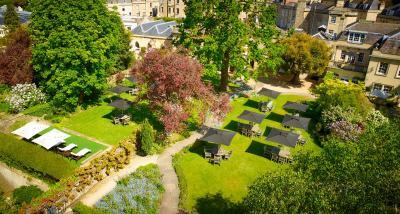 The Royal Crescent Hotel & Spa has been welcoming Booking.com guests since 7 Aug 2009. 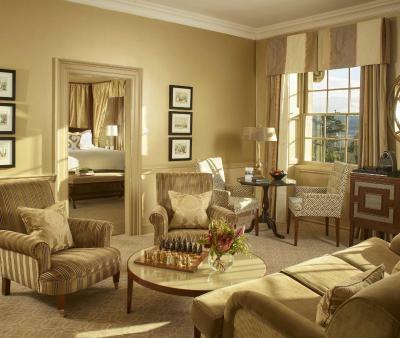 When would you like to stay at The Royal Crescent Hotel & Spa? 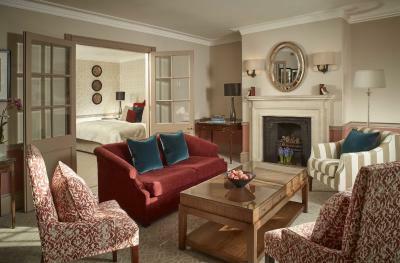 Located within the historic coaching houses, these rooms have antique features and period characteristics. 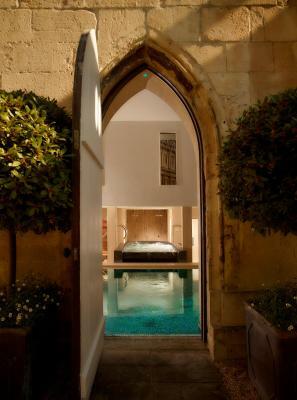 The rooms overlook the residential area of Bath or a private courtyard. There is a queen-size bed, a flat-screen TV and magazines. You will also find slippers, bathrobes, a hairdryer and bottled water. Private parking is possible at a location nearby (reservation is not needed) and costs GBP 30 per stay. Located within the historic coaching houses and the main building, these rooms offer antique features and period characteristics. 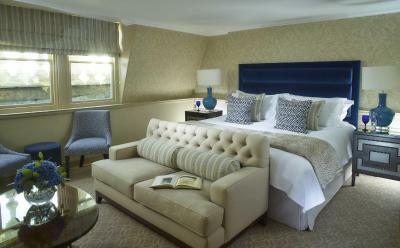 The rooms overlook the acre of private gardens or a Crescent view of Royal Victoria Park, it benefits from a king-size bed. Slippers and bathrobes are provided and you will also find a flat-screen TV, bottled water, magazines, and a hairdryer. One extra bed can be accommodated in this room type. Please note children above the age of 11 cannot be accommodated in the extra bed. 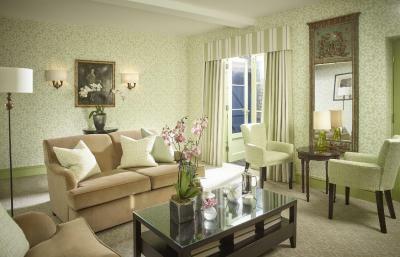 This individually decorated suite boasts antique features and period characteristics. 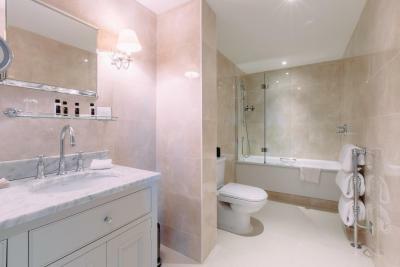 An en-suite bathroom and a flat-screen TV are also featured. 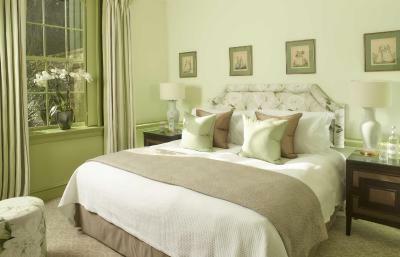 This individually decorated suite boasts antique features and period characteristics. An en suite bathroom and a flat-screen TV are also featured. This elegantly decorated en suite room features a flat-screen TV with satellite channels, an iPod docking station, air-conditioning, complimentary toiletries and a work desk. It also benefits from a seating area. 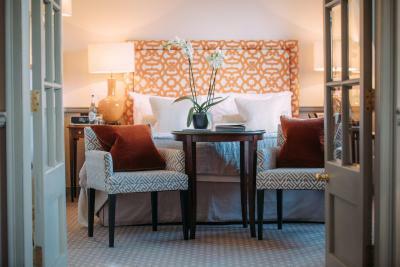 Two extra beds can be accommodated in this room type. 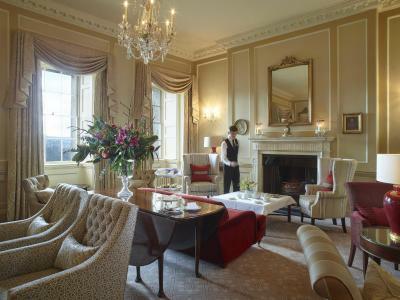 House rules The Royal Crescent Hotel & Spa takes special requests - add in the next step! 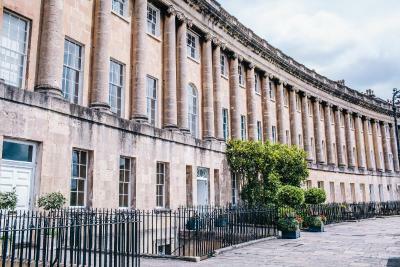 The Royal Crescent Hotel &amp; Spa accepts these cards and reserves the right to temporarily hold an amount prior to arrival. 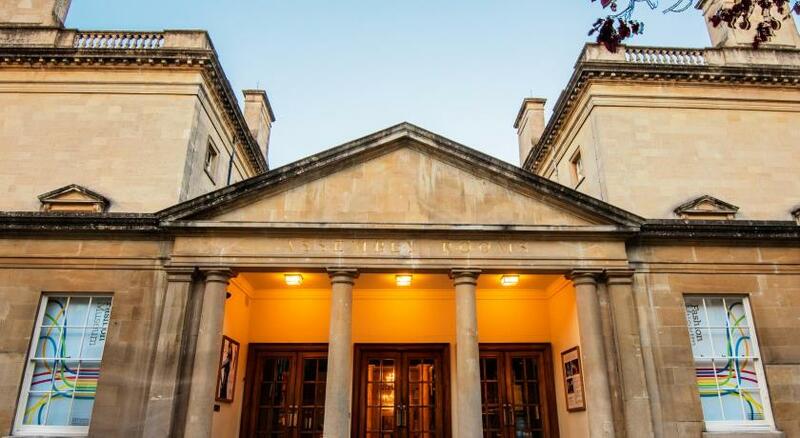 The Royal Crescent Hotel & Spa accepts these cards and reserves the right to temporarily hold an amount prior to arrival. 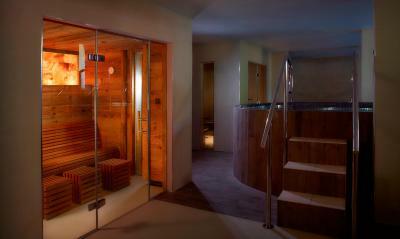 Children under the age of 12 years are not permitted in the spa. Please note that extra beds are limited and subject to availability. The hotel recommends to reserve treatment times. Please also note that due to space limitations guests will be required to book in advance for meals. This information can be added within the Special Request box when booking. 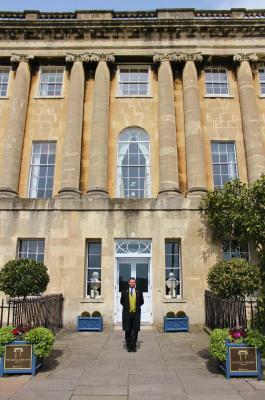 The property offers a shuttle to/from Bristol Airport at an approximate extra cost of GBP 50 per transfer, and to/from Heathrow Airport at an extra cost of GBP 200 per transfer. Prices may vary depending on number of passengers, luggage and vehicle type. Please contact the property directly to arrange. Other transfers can also be arranged prior request. Pets are only allowed in certain room types so please check the room descriptions. 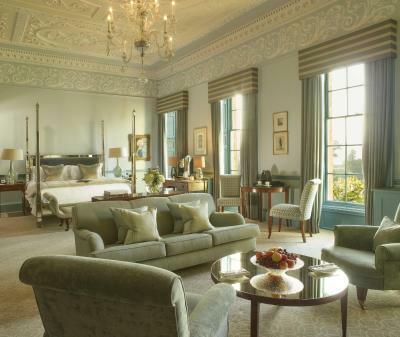 Royal Crescent is a truly luxury experience. The spa is exceptional. The grounds are absolutely lovely and the staff is attentive and creative. We had a very early 5:30am private excursion and they provided a boxed breakfast for the family. 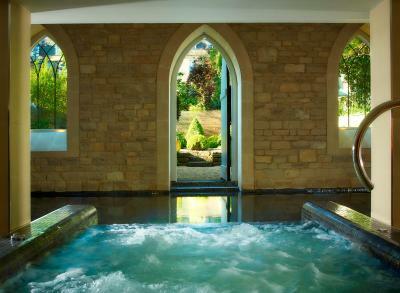 The location is a little removed from the hustle and bustle, but only a short walk to the Roman Baths. Highly recommend this lovely hotel. The room is rather small for the price, bathroom also, both very clean and nicely furnished though. Nothing as everything was beyond my expectations. The room was small and dated, horrible view if on a higher floor, stone balcony makes it feel like a prison in an attic style room. Freestanding white fridge rather than inter-grated was ugly and noisy all night. No tea and coffee facilities in the room. No fridge in the bedroom. We are a couple of old soaks so missed that but ice arrived promptly when requested, so no real problem. Dealing with the spa staff was very frustrating. Hospitality was lacking and spa organization in general seemed poor. I found the bed to be hard and the rooms just a little noisy, but the former is perhaps just personal preference and the latter was only a minor issue. 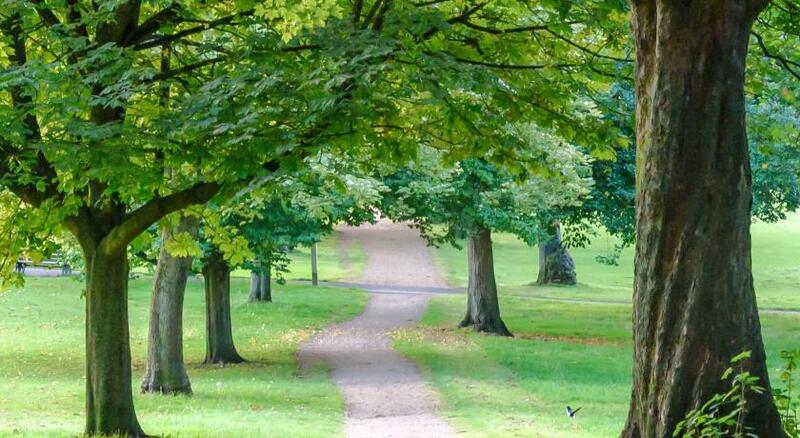 Excellent location and beautiful grounds. Hotel staff very good. Food (breakfast only for us) was delicious.